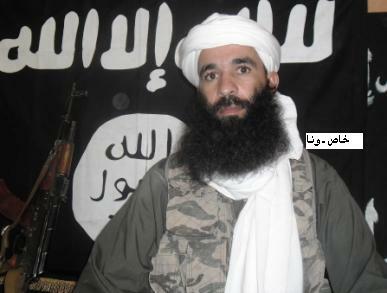 Yahya Abu Hammam, the emir of al Qaeda in the Islamic Maghreb’s operations in the Sahel. Image from the ANI. The US added the head of al Qaeda in the Islamic Maghreb’s operations in the Sahel region of North Africa to the list of global terrorists yesterday. Yahya Abu Hammam, whose real name is Jemal Oukacha, was added by the US to the list of Specially Designated Global Terrorists for his “key role in the group’s ongoing terrorist activities in North Africa and Mali,” the US Treasury Department stated in a press release. “Today’s designation supports ongoing international efforts to isolate AQIM, deny its members the benefits of their violent and criminal acts, and help restore Mali’s territorial integrity,” Treasury stated. Prior to being appointed the head of AQIM’s operations in the Sahel, he served as the group’s emir in the northern Malian town of Timbuktu. Under his rule, numerous Muslim shrines were destroyed and civilians were beaten for the slightest infractions of sharia, or Islamic law. Hammam was named the emir of the Sahel after his predecessor, Nabil Abu Alqama, was killed in a car crash. Upon taking command, Hammam named Abdel Mejid Abou Zeid as his deputy. Zeid leads the Taregh Ibn Ziyad brigade, which operates throughout Mali, Mauritania, Niger, and southern Algeria. Zeid’s brigade is responsible for the beheading of the British hostage Edwin Dyer in May 2009. Algerians, Mauritanians, Malians, and Moroccans are known to fight with both Hammam and Zeid. A document written by Droukdel that was found at an AQIM command center in Timbuktu after the town fell to the French exposed the terror group’s plan to use northern Mali as a base to conduct attacks in the region and against the West.